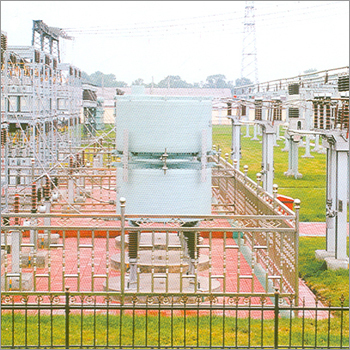 Static VAR Compensators are electrical devices that provides fast-acting reactive power (hence the var) on high-voltage electricity transmission networks or power system. Electrical loads both generate and absorb reactive power. Since the transmitted load varies considerably from one hour to another, the reactive power balance in a grid varies as well. The result can be unacceptable voltage amplitude variations, a voltage depression, or even a voltage collapse. Installing an SVC at one or more suitable points in the network will increase transfer capability through enhanced voltage stability, while maintaining a smooth voltage profile under different network conditions. In addition, an SVC can mitigate active power oscillations through voltage amplitude modulation. Static Var Compensator (SVC) SVC is an advanced capacitor bank using Thyristor for providing fast-acting reactive power compensation on high voltage electricity transmission networks. SVC is an automated impedance matching device, designed to bring the system closer to unity power factor.